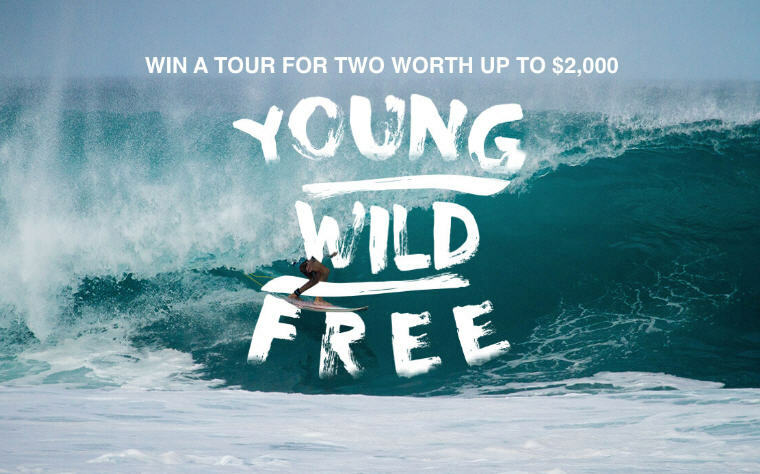 Young, Wild and Free Contest - Win a trip for 2 Thailand or Indonesia! Enter the contest now for a chance to travel to Thailand or Indonesia with TourRadar , and Free & Easy Traveler! No purchase or payment is necessary in order to enter. This is your chance to embody the spirit of being Young, Wild & Free! The contest starts on January 23rd 2018 and ends on February 13th 2018. So if you are between the ages of 18 to 35, grab this chance to win a tour for 2 with Free & Easy Traveler. White sand beaches? Check. Unforgettable experiences? Check. Trip of a lifetime? Absolutely! Winner will be announced the day the contest ends. Choose between exploring Thailand’s majestic temples and markets, or getting up close and personal with a snorkel session off the Gili Islands of Indonesia. Start and end in Kuta! This 10 day tour package takes you through Kuta, Indonesia and 2 other destinations in Indonesia. Start and end in Bangkok! This 10 day tour package takes you through Bangkok, Thailand and 2 other destinations in Thailand. Start and end in Bangkok! With the in-depth cultural tour 10 days in Thailand – Temples, Tribes & Tuk Tuks, you have a 10 day tour package taking you through Bangkok, Thailand and Chiang Mai. There’s no time like the present to make Southeast Asia your new playground – so choose your adventure and enter now. Good luck! Win a trip for 2 Thailand or Indonesia Now! Please note: The contest prize does not include any flights or means of transportation other than what is provided by the tour operator and is mentioned in the trip notes. The contest is not open to residents of India, Belgium, Sweden or Quebec.